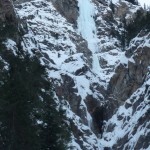 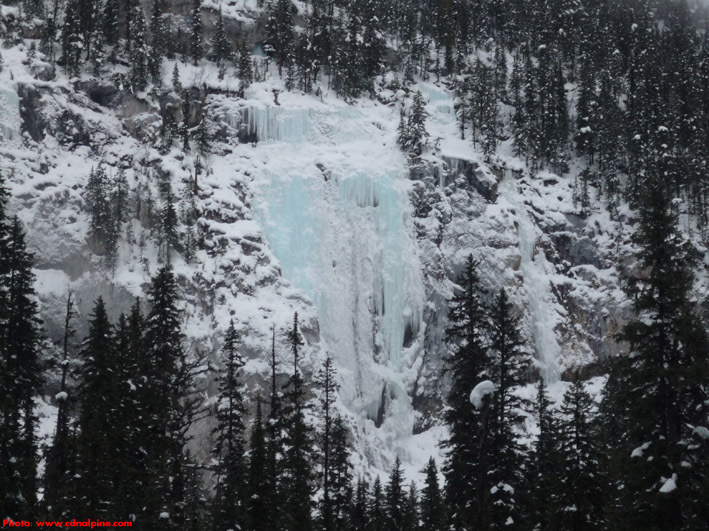 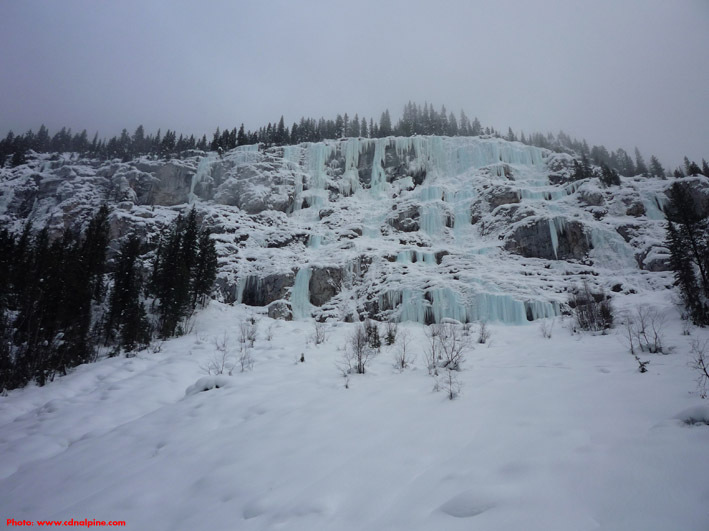 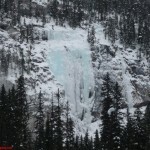 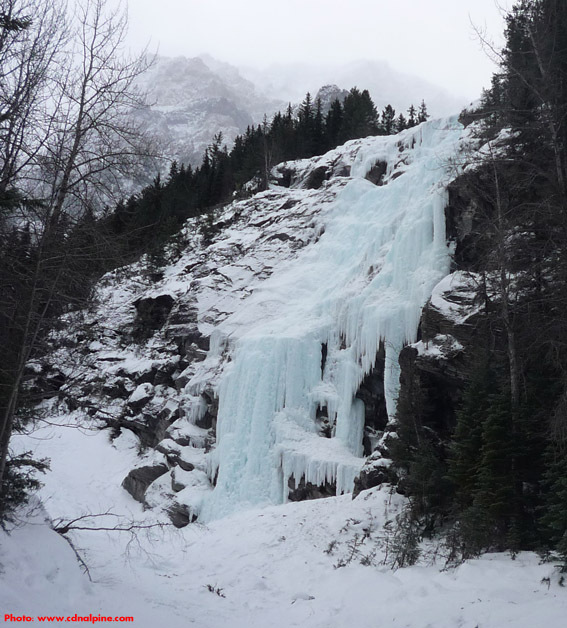 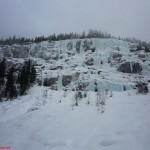 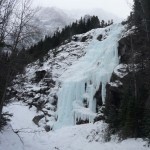 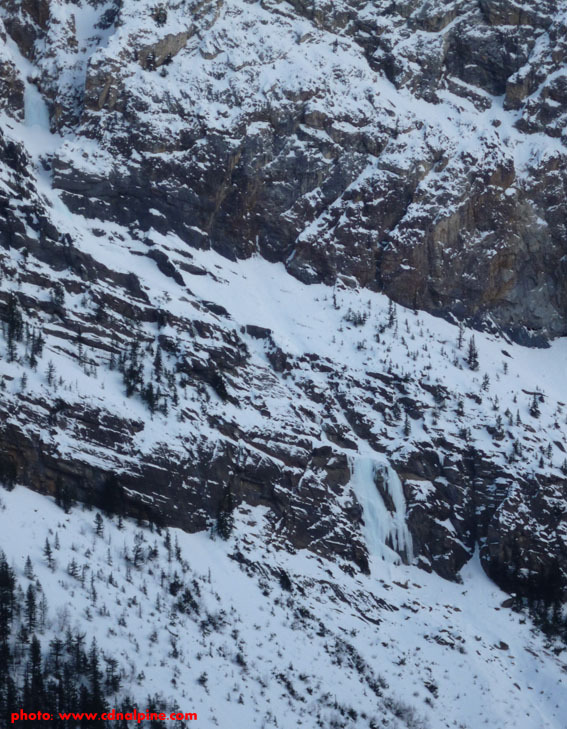 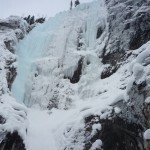 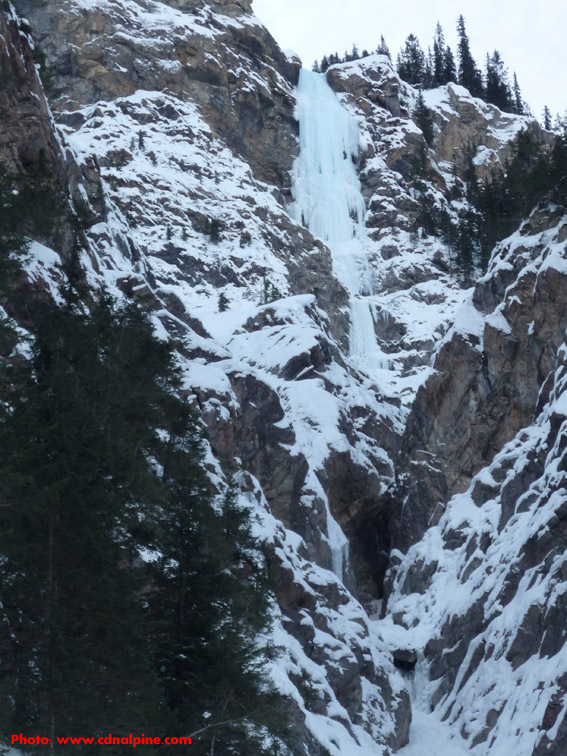 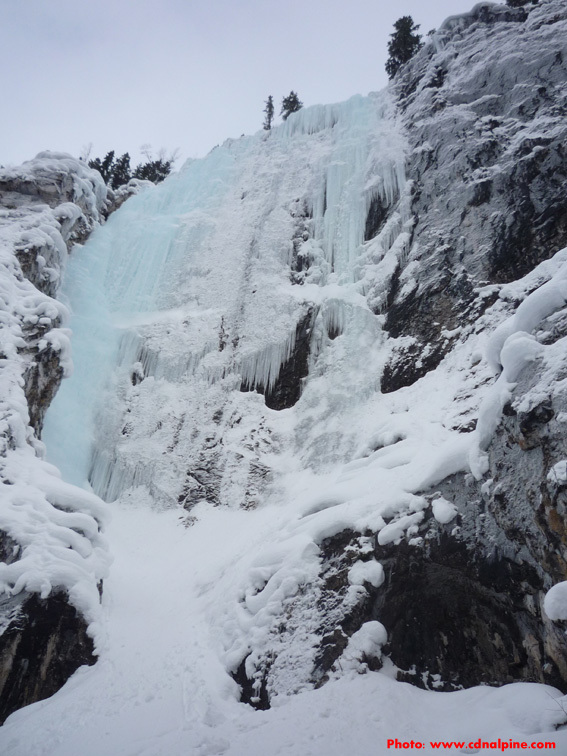 Covers all ice climbs from Lake O’Hara to Golden, BC along the Trans-Canada Highway. 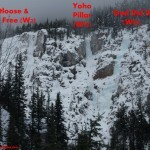 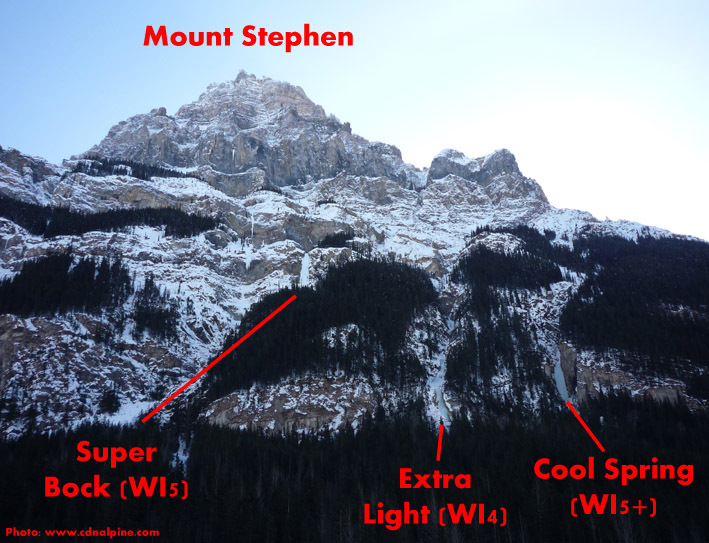 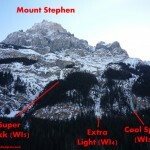 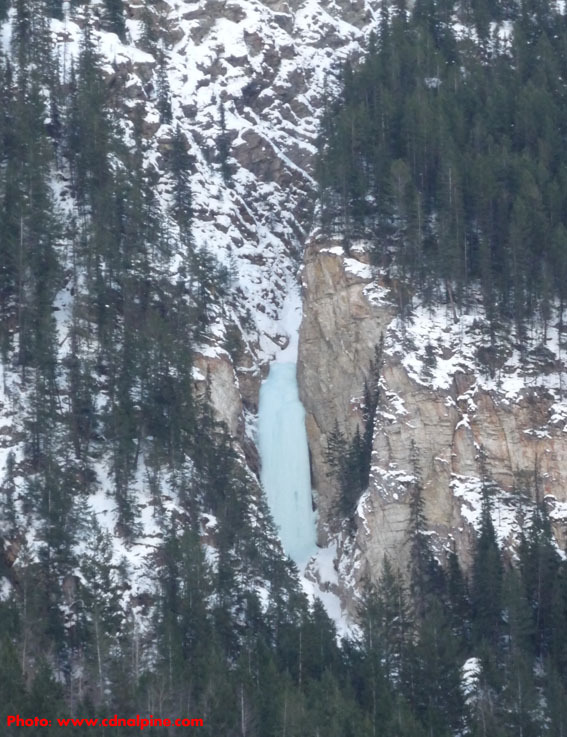 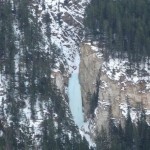 Includes Field & Kicking Horse Canyon areas. 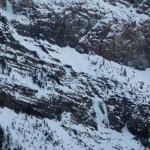 Climbs right around Lake Louise are in the Bow Valley section. 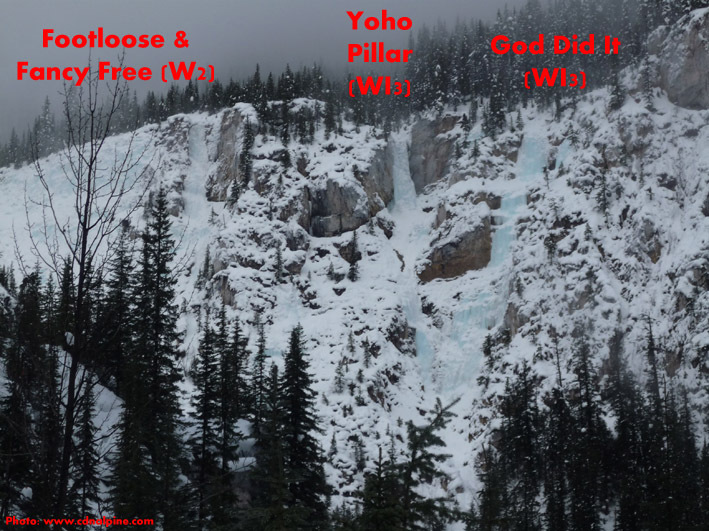 Silk Tassle (WI4) across from Field, BC.